A family of miniature circular connectors based on the MIL-DTL-83723 (m83723) form factor. 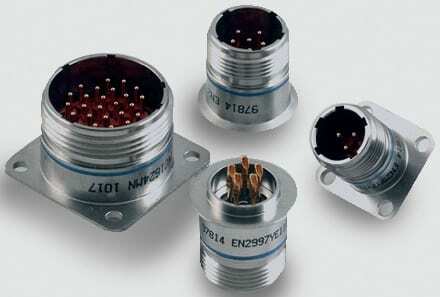 These are for use in demanding applications such as military and commercial aviation engine sensors. EN2997 and ESC10 family variants offer additional features for improved performance over the original MIL-DTL-83723 specification. Need to know how to order an m83723 connector? Try our guide. Threaded option – with visual confirmation of full coupling. Mating: Interchangeable and intermateable with MIL-C-83723 Series III type (note that when EN2997 or ESC10 specified connectors and mated with MIL-C-83723 Series the performance specification will meet the lower performance of MIL-C-83723). 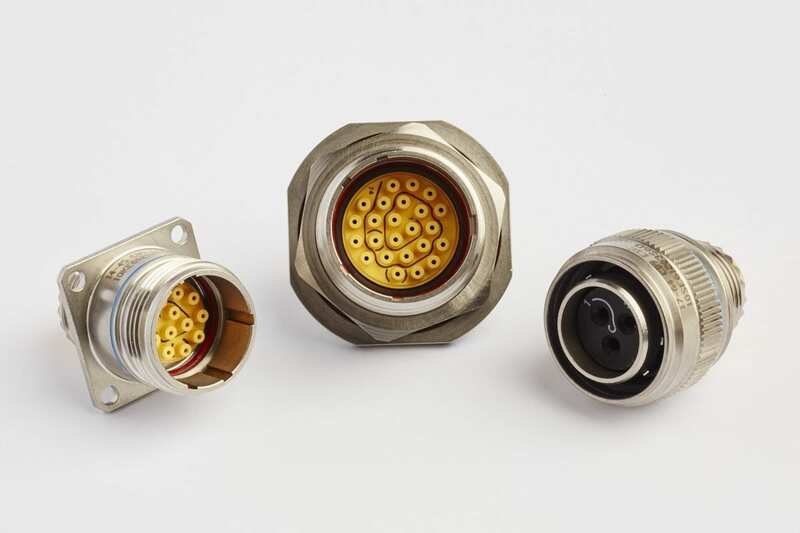 An enhanced version of the MIL-DTL-83723 connector, these connectors feature improved anti-rotation on the thread coupling and will accommodate both the older generation and the latest generation of wire sizes. The MIL-DTL-83723 specification defined a high temperature, high vibration resistant connector. However, it was realised that an improved version of the interface was required in order to eliminate any risk of unlocking under vibration, to introduce scoop-proof features and to eliminate uncertain bottoming. EN2997 and ESC10 connectors were introduced in order to address and eliminate these concerns. Features such as self-locking on the plug to improve vibration resistance, shell to shell bottoming to improve shielding and an ability to enable more backshell positions can be found on these improved connectors in order to meet the demands of engine management, avionics, power and actuation on military and commercial aircraft. Other typical harsh environment high-temperature applications include sensors for engine management and railways braking systems. How to Order a MIL-DTL-83723 series III connector. 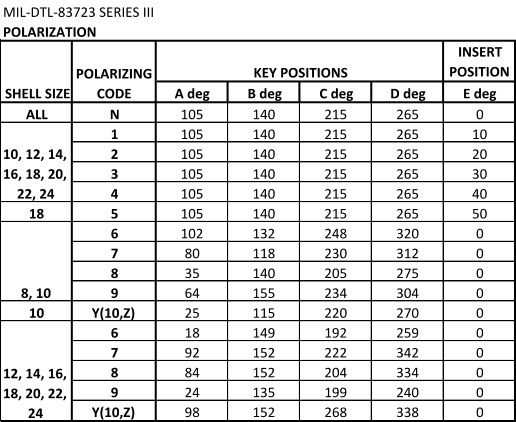 The tables below will assist you to construct an official MIL spec part number for a MIL-DTL-83723 series III connector. Many of the connector OEM’s have their own proprietary part numbers which we can cross-reference to from the Military part numbers. NYK Component Solutions are distributors for the industry leading connector OEM’s and we can provide unbiased advice for you to meet your technical and logistical requirements.